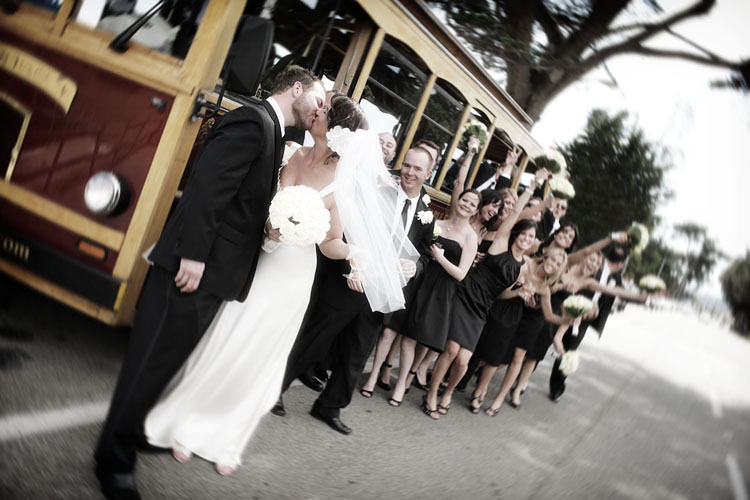 Getting to and from your reception and ceremony isn’t the most important detail of the day, but it deserves some consideration. 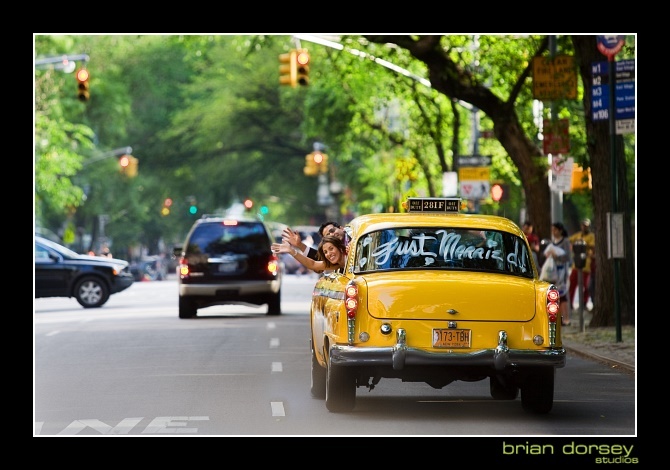 The last thing any bride wants to worry about on her wedding day is finding a parking space. 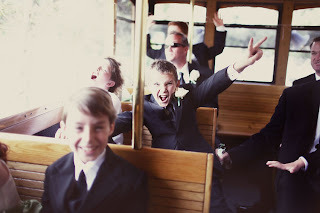 Comfort and style are my top priorities when it comes to booking wedding day transportation. I’d like to be able to step out of the vehicle without making a scene, so a party bus would be the most comfortable option. But the neon tube lights that line the inside don’t really match my wedding day look. Here are a few alternative choices for transportation. I’d like something that all the bridesmaids and groomsmen (there are ten total) plus myself and Keith can fit in. We’ve also talked about loading our photographer in as well since we plan to take pictures downtown and parking is hard to come by. I think the trolley is classic and has plenty of space for everyone. If you rent: Seating ranges from 20-32 passengers. Many have hard bench seats so they may not be comfortable for long trips. Average price is $1,000 for 3 to 4 hours. I ride in cabs all the time so the novelty has worn off a little, but I still can’t resist hailing this one. If you rent: There's only room for two so you'll need another ride for the wedding party. Average price is $500 for 2 to 3 hours. This would be perfect for a retro beach wedding. I'm not going for such a groovy look, but if you're leaning towards long flowing locks and a laid back reception this is a must. If you rent: Most companies rent VW's for adventure-seeking road trippers, but you can find daily rates starting at $100. The larger models seat up to nine people. Readers, what are you riding in on the big day? Add your ideas to my list. It isnt really in the budget for us. 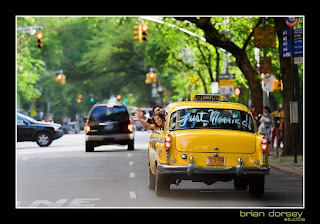 Since our ceremony and receptiona re int eh same location, i'm just going to have some cousins decorate our car with "just married" stuff for when we leave for the hotel at the end of the night. We're renting a vintage checker cab & it's such a small detail but I'm so excited about it. It's going to be a cool photo-op. 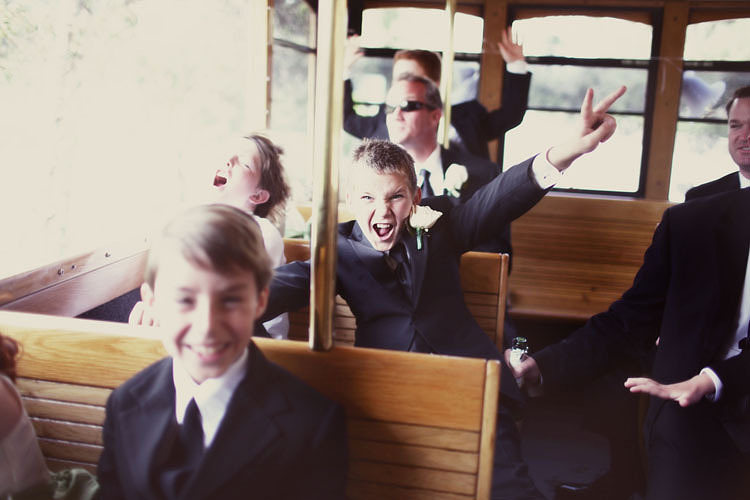 We're renting a limo for the bridal party & a bus for our guests. I would've loved to have everything in one location so we didn't have to worry about transportation!